In this, their landmark 15th anniversary year of operations, Vandit Records welcome the return of one of the first artists to make a big impression on the label’s discography. David Forbes first struck club-floor gold way back in 2000 with his club track ‘Questions (Must Be Asked)’. Since then he’s had continued productions in the electronic music scene, releasing music through labels as diverse as Spinnin’, Subliminal, Combined Forces, Lange Recordings, Outburst and others. 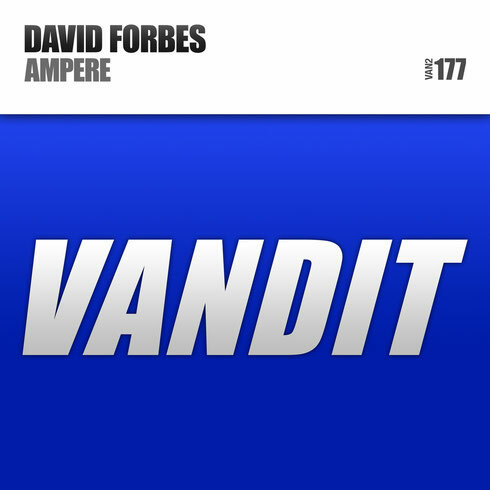 Following last year’s Vandit-released ‘Revert EP’, the Scotsman’s back with his latest track, ‘Ampere’! From its very first bar, ‘Ampere’ crackles with energised production electricity... Skipping percussion, running stab-ily infectious sub riffs and heavy bass all power the track on its way. In the break David draws on echoing, atmospherically delayed piano lines, analogue-like FX and highly charged electro-lined elements. With longer-held, anthemic synth strikes raising the tension higher still, he finally ties them all together and releases en-mass to a big, breaks-end conclusion!